Orlando's Food Trucks: Baseball and Food Trucks the Perfect Match! Baseball and Food Trucks the Perfect Match! This year at most of The Winter Park Diamond Dawgs games at Alfond Stadium, there will be a food truck. Joey Solitro the General Manager of the Winter Park Diamond Dawgs baseball team is all about the community, working side by side with different non-profits like the Susan G. Komen foundation. This year he wanted to bring the Fans of the team something New, Local and Fun and what is better than Food Trucks? 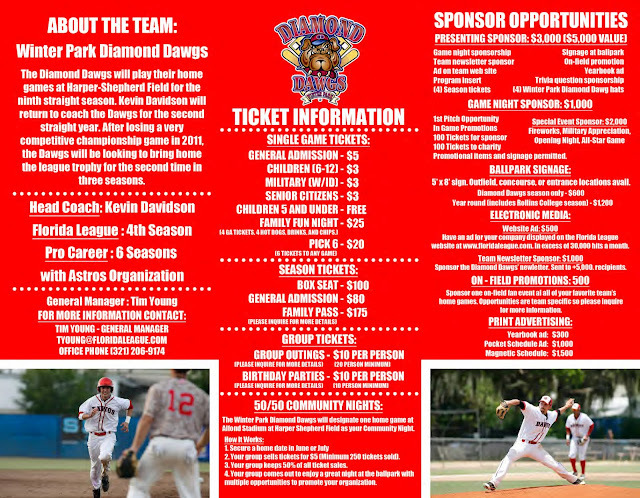 On June 9th at 7:00pm at Alfond Stadium, The Winter Park Diamond Dawgs will be going against The Leesburg Lighting. Not only can you enjoy a Great Baseball Game you can also enjoy some great food from Cluster Funk Truck (see their menu here). 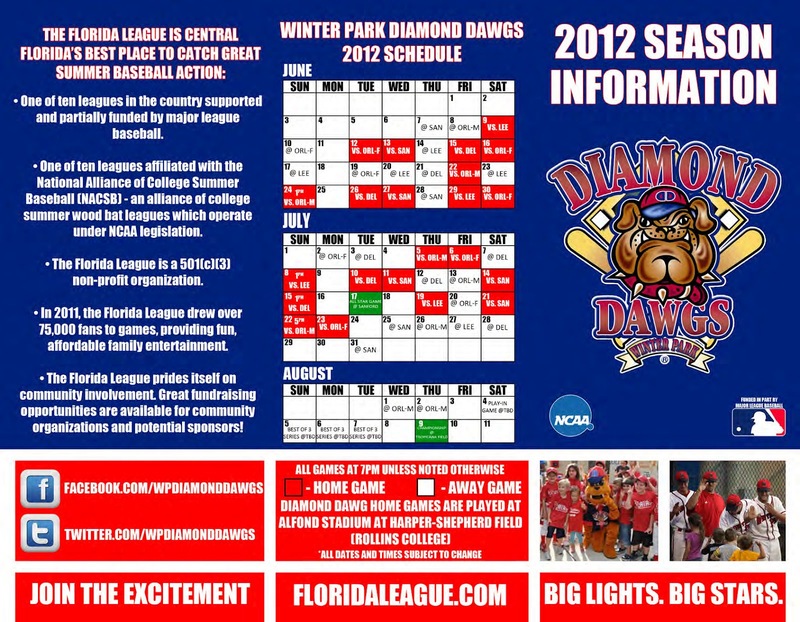 Background:The Florida Collegiate Summer League (Florida League) is a wood bat baseball league with six teams in Central Florida. Founded in 2003, the Florida League provides a valuable opportunity for college players to play wood bat baseball against top-level competition with the goal of preparing them for a career in professional baseball. The Florida League is one of ten leagues affiliated with the National Alliance of College Summer Baseball (NACSB) – an alliance of college summer wood bat leagues which operates under National Collegiate Athletic Association (NCAA) legislation. It is funded in part by Major League Baseball and is a non-profit, 501(c)(3) corporation that is primarily dependent on donations from individuals, businesses and foundations in each team’s community.